Of the large predators that prowl untouched corners of our earth, the tiger is perhaps the most spectacular. It is neither the most powerful nor the most successful, but its appearance inspires a shiver of dread and fascination, its silence, its powerful flowing stride, its cold-eyed stare, its burnished coat, its very presence stops the jungle in its tracks. The deer freeze, call in alarm and flee, peacock squawk and flap away from its path, even the formidable rhino, wild buffalo and elephant eye it with respect. The tiger is the ultimate predator of the great Indian jungles. And it shows itself to humans only if wishes or one is skillful and persistent or sometimes just very lucky by taking this tour. 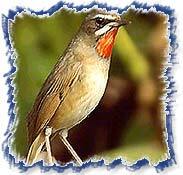 Arrive Chennai and transfer to Fisherman's Cove. Full day at leisure on the beach. A day of sightseeing. Visit Mamallapuram group of World Heritage monuments including Shore temple and Arjuna's Penance. Also visit the golden city of Kanchipuram - one of the four most sacred places. Early morning transfer to Chennai Railway station and take train to Bangalore (5 hrs). Tour the "Garden City," including a visit to Lal Bagh Botanical Gardens, the Mysore Arts and Crafts Center, the bull temple, and the colorful and bustling markets. Morning drive to Hassan enroute visiting Sravanabelagola (5 hrs). One has to climb 600 steps to reach the hilltop dominated by 1000 years old Gomateshwara statue. The statue is considered to be the tallest monolith (17 m) and most graceful sculptures of the world. Afternoon visit Belur and Halebid temples. The visual is often described as the jewel box of Hoysala temple architecture. Morning drive to Coorg (3 hrs). Afternoon at leisure to explore the rolling hills with plantations of coffee, black pepper vines and the celebrated Coorg orange and cardamom plants. Morning and afternoon jungle safaris in the Nagarhole National Park. Rest of the day at leisure by the river. Morning Jungle safari by jeep. Late morning drive to Mysore (3 hrs). Afternoon visit Mysore Royal Palace. Morning excursion to Somnathpur (1 hr). Visit Keshava temple built in 1268 AD, richly adorned with carved friezes and sculptured images. Evening visit to Brindavan Gardens, with its many water features, including the musical fountains. Morning drive to Ooty (4 hrs) - the erstwhile summer headquarters of the British government in southern India and offers a cool retreat. In the morning proceed by Nilgiri Mountain Railway - toy train to Coonoor across plantations and forest clad hills with breathtaking views. Drive backs to Ooty and proceed for sight seeing. The morning is at leisure. Afternoon drive to Mettupalayam and connect the overnight train for Chennai. Arrive Chennai, upon arrival transfer to the hotel. Later tour of Mahabalipuram & Kanchipuram. Kanchipuram (64 kms from Chennai) is the ancient capital of the Pallavas famous as a city of 1000 Temples and still has 124 shrines. The first temple dedicated to Shiva was built in the 7th and 8th century and has paintings on the walls. Temples of Ekambaswara, Kailasanatha , Sri Kamakshi and Varadarajaswamy are of interest. Kanchipuram is also famous for its silks. The city of Mahabalipuram is famous for the seven pagodas. Here on the seashore is an interesting group of ancient rock hewn temples which are the examples of Dravidian style of Architecture. Breakfast at the hotel. 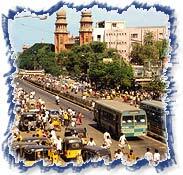 Chennai is a bustling city with a relaxed and friendly character. Our tour commence in the area around the 17th century Fort St. George, taking in St. Mary's Church where Clive of India was married, before a visit to the Government Museum to view the Chola bronzes. Finally we visit San Thome Catherdal, said to house the remains of the apostle. Thomas who is reputed to have brought Christianity to India in the 1st century AD. Later transfer to the International Airport to catch the flight for onward destination.